The Luminor Submersible Bronzo PAM 382 was a monster hit when it was unveiled in 2011. Almost a decade later, memories might be a little hazy, but the first Bronzo was truly an epic home run. 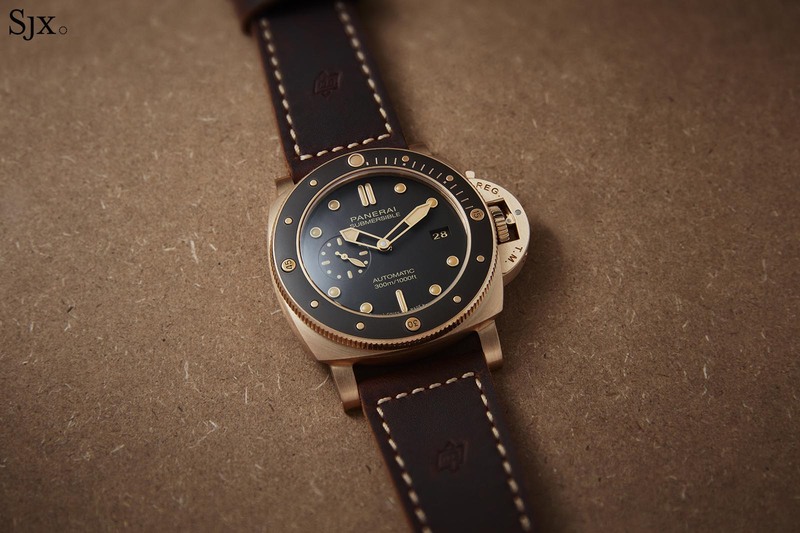 The appeal was obvious: set against a period that was peak Panerai not only was the Bronzo the first bronze watch of the current era (Chronoswiss and Gerald Genta got there first in the 1980s), the copper alloy was a natural fit for Panerai’s almost steampunk, military-inspired style. Unsurprisingly, and disappointing to the die-hard believers in limited editions, the first Bronzo spawned three others – the PAM 507 of 2013, PAM 671 of 2017, and the one-off PAM 907 sold in 2017 to benefit a British charity. Although the multiplying editions have made the concept less special, the Bronzo remains Panerai’s most iconic and collectible modern watch. In fact, any of the Bronzo editions still sell for more than their original retail, being one of the rare few Panerai watches with that distinction today. Now, for the first time, the brand has launched the regular production Bronzo. 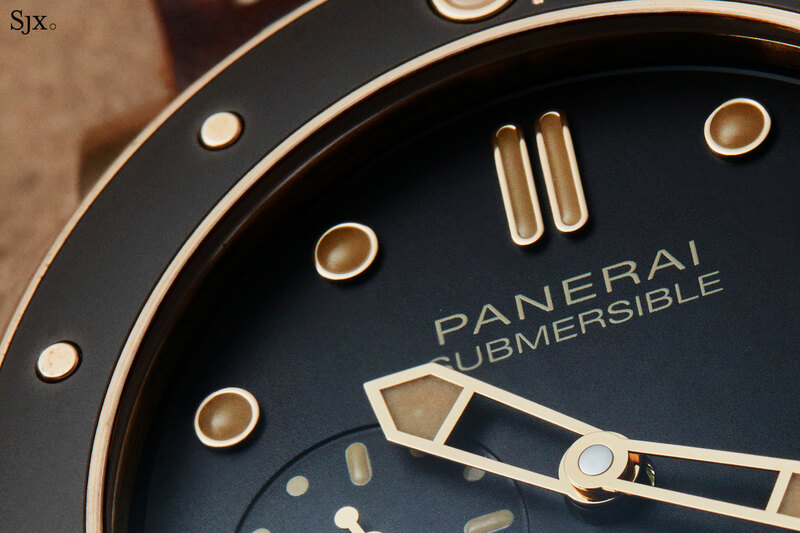 Yes, that’s right, the new Submersible Bronzo PAM 968 will be made in a limited number – 1000 pieces – every year. The new Bronzo takes inspiration from the unique PAM 907 of 2017, having a similar dark brown dial. But in a first for the series, the bezel features a ceramic bezel insert to match the dial, giving it a distinctive look that brings the design closer to that of other Submersible models. The case of the Bronzo PAM 968 is identical to the two most recent iterations. 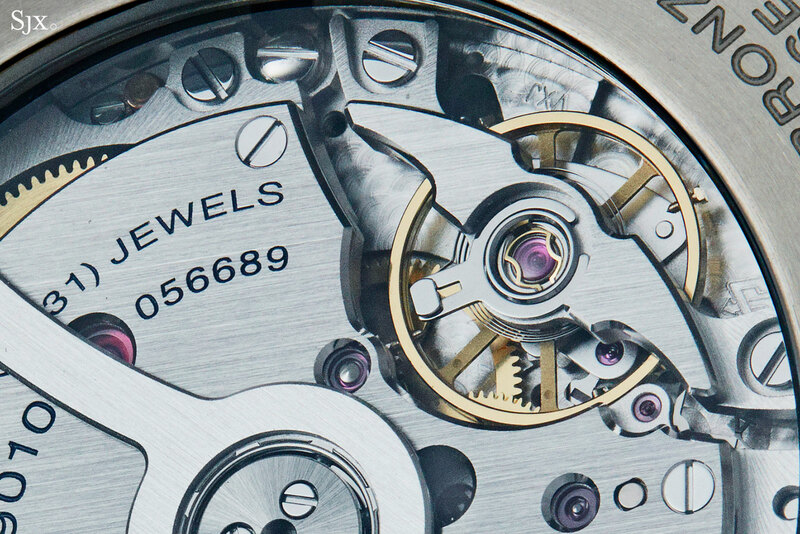 It measures 47mm wide and is slightly thinner than the first two versions due to the 6mm-high P.9010 movement inside. 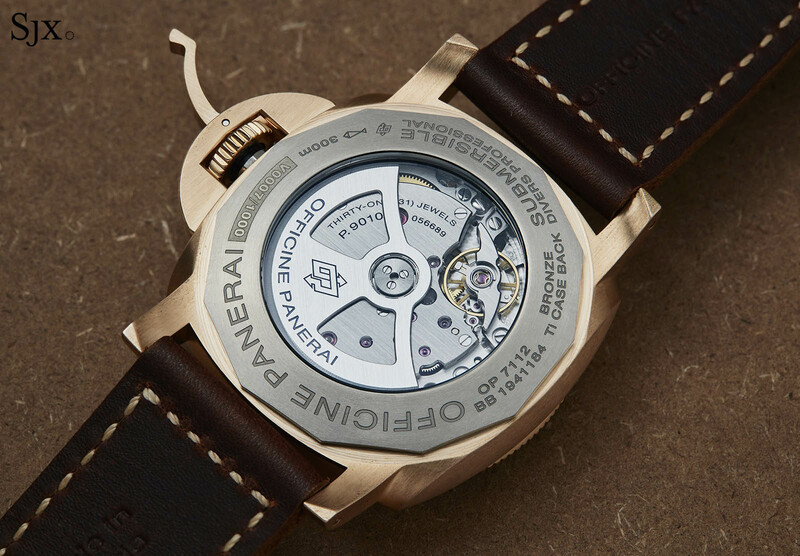 And it is equipped with the mandatory crown-locking lever that’s a Panerai trademark. The case is made entirely out of CuSn8, or phosphor bronze, an alloy that is 92% copper and 8% tin. Unlike the aluminium-bronze alloys used the Tudor Black Bay Bronze or Montblanc 1858 Monopusher Chronograph, phosphor bronze is strongly reddish when new and develops verdigris, the bright blue-green patina that develops on the surface as a result of oxidisation. In short, the case begins to look like long lost shipwreck treasure after a spell. All surfaces of the case have a linear brushed finish that accentuates the patina as the oxidisation tends to develop within the grain of the brushing. What distinguishes the new Bronzo from its predecessors is the matte brown ceramic bezel insert. 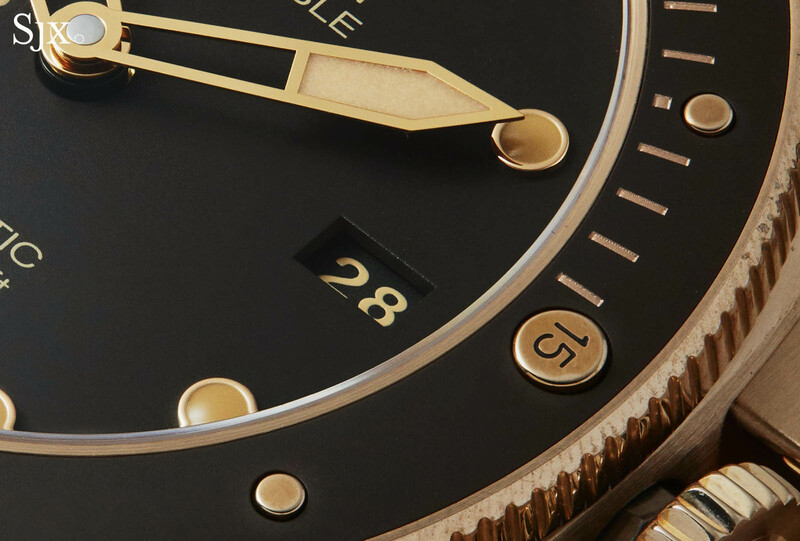 About half of the current Submersible line-up features a ceramic bezel insert, in either black or blue, so it isn’t novel for the line, though it’s a first for the Bronzo series. The ceramic insert adds a bit of sportiness to the design, though it was not lacking that in the first place. The advantage of ceramic is its scratch-resistance, boasting a Vickers hardness rating second only to diamond. While such functionality for a watch like this is a moot point, the ceramic insert creates greater visual contrast on the face. And as the case develops a patina, the contrast of the unmarked ceramic insert will only increase. Though the ceramic bezel is a relatively new invention for Panerai, it still features the characteristic peg markers of the Submersible, themselves drawn from the oversized Egiziano watch of 1956 produced for the Egyptian navy. So the bezel features holes for the five-minute marks in bronze, while the hashmarks for the first 15 minutes are engraved and then plated. The dial is a flat, matte brown, continuing the sharply functional feel. The design, however, is unchanged from the original Bronzo, with a combination of baton and dot markers that are unique to the Submersible line. 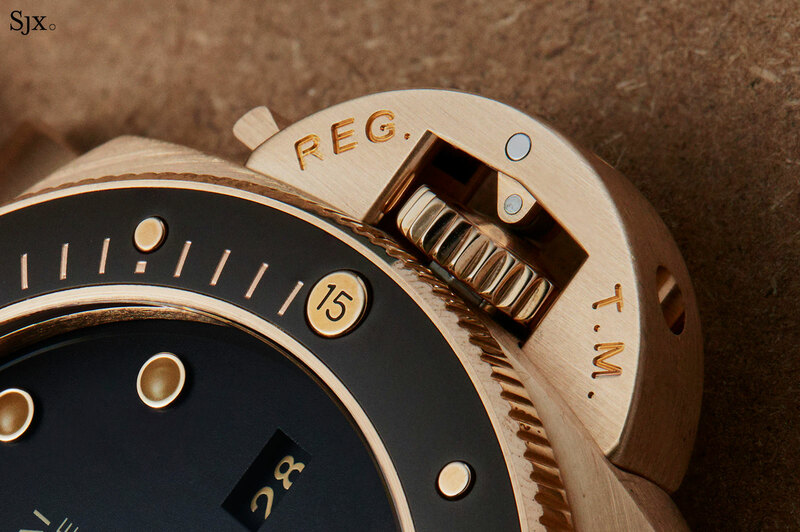 But the lettering on the dial has changed, reflecting the recent change in the structure of the Panerai collection. The Submersible is now a standalone line on its own, and no longer part of the Luminor range. So “Luminor” has been done away with, and the depth rating is on the dial at six o’clock to retain the vertical balance. A more significant departure from the earlier Bronzo editions is honey-coloured Super-Luminova. While the first two Bronzos had white “lume”, and the third model with a blue dial ivory lume, the new Bronzo has heavy faux-ageing on its luminous markings. It feels a bit affected, although it works very well with the bronze case and brown dial. Visible through the sapphire case back is the P.9010 movement. It’s a self-winding movement with double barrels for a three-day power reserve, the standard for all of Panerai’s in-house calibres. And also a near universal feature in Panerai’s in-house movements is the independently adjustable hour hand, which advanced in one hour steps forward or backwards, making setting the time when crossing time zones easier. 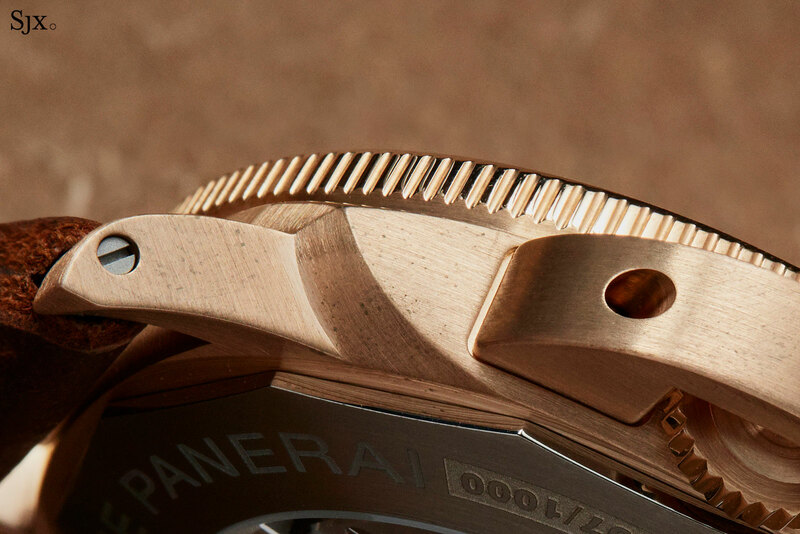 The movement finishing is typical Panerai, which means lots of straight graining and clean, mechanical lines, with colour coming from the gilded parts and blue lacquer filling of the engraved text. All of the decoration, from the perlage on the base plate to the grained bridges, is done with automated machines. That is no doubt fitting for a movement in a utilitarian watch, but is a step below what competitors in the same price bracket offer. Even though the likes of IWC, Jaeger-LeCoultre and Grand Seiko also finish their movements in an industrial manner, their decoration is a bit more visually attractive. And as is traditional for the Bronzo, the sapphire window sits in a titanium case back. Because bronze can cause skin irritation, hypoallergenic titanium is used for the bits of the watch that will come in contact with the skin, namely the back and buckle. 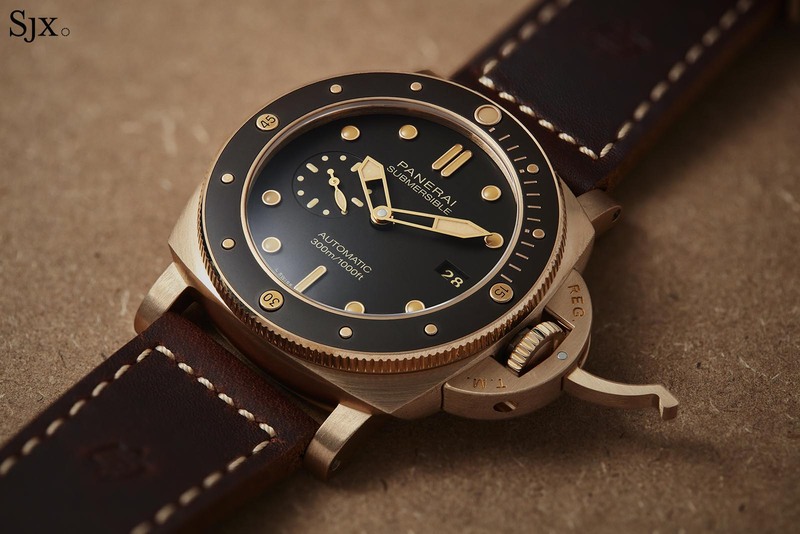 No doubt plenty has changed since Panerai started the bronze fad in 2011. Now bronze cases are dime a dozen at every step of the price spectrum, from Tudor to Bell & Ross to IWC to Hublot to Ferdinand Berthoud, and more. Its sheer commonness explains the alloy’s dwindling appeal. But the Bronzo remains one of the definitive bronze watches. 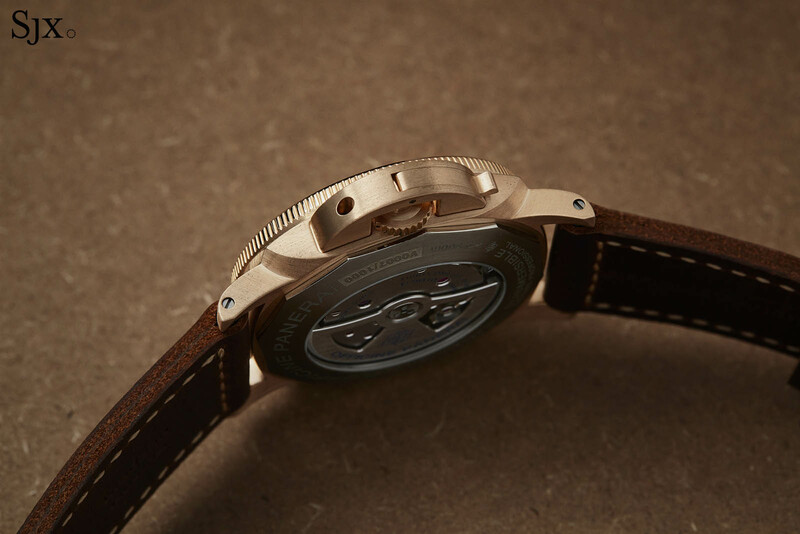 Not only did the first Bronzo arrive before everyone else, the alloy makes sense for the watch and brand. 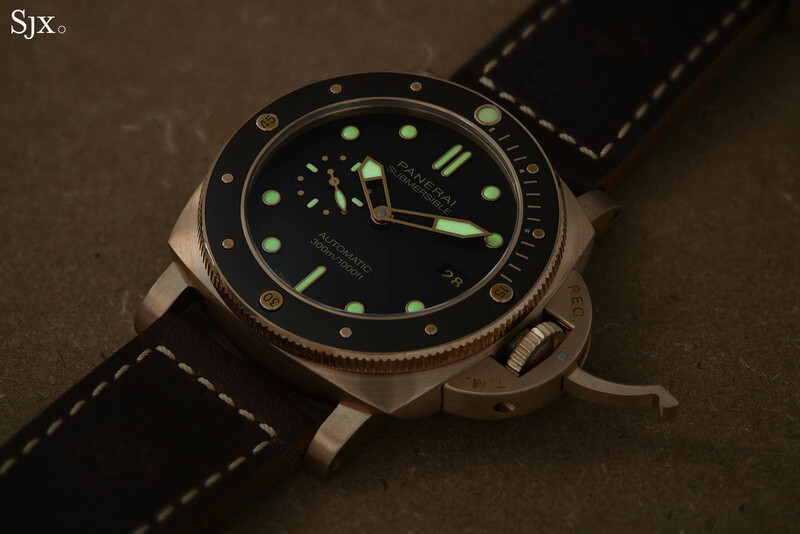 In contrast to the other bronze watches that sometimes seem like a design conceit, the combination – the corrosion resistance of marine bronze and Panerai’s naval history – makes for a legitimate match. The elephant in the room is unquestionably the non-limited edition status of the new Bronzo. For the diehard Panerai fan – probably fewer in number now than in 2011 – that is no doubt a major let-down. But that is, unfortunately, how the watch business works and, on a positive note, good news for anyone who wasn’t able to land one of the earlier editions. Limited or not, the new Bronzo is an attractive watch with a high cool factor, albeit at an expensive-ish price. 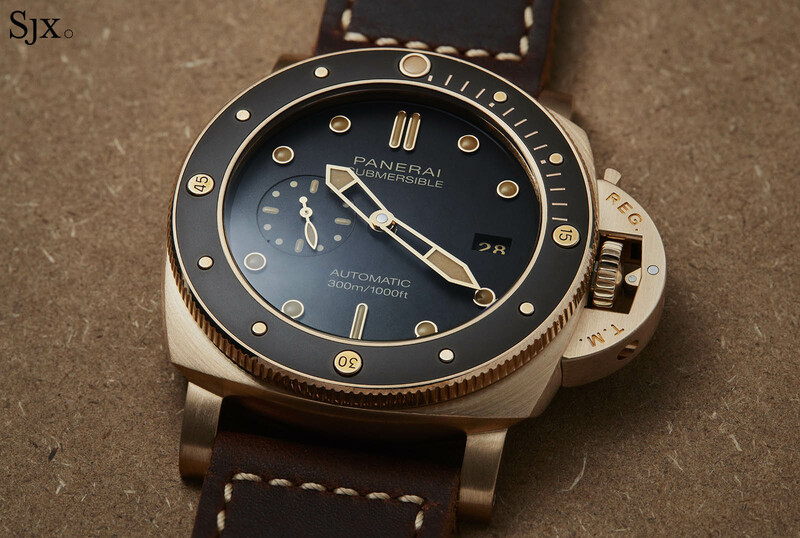 The Panerai Submersible Bronzo 47mm (PAM00968) is priced at €16,000 including VAT, or 23,500 Singapore dollars. It is limited to 1000 pieces a year. Notably, its availability will be heavily inclined towards online channels. 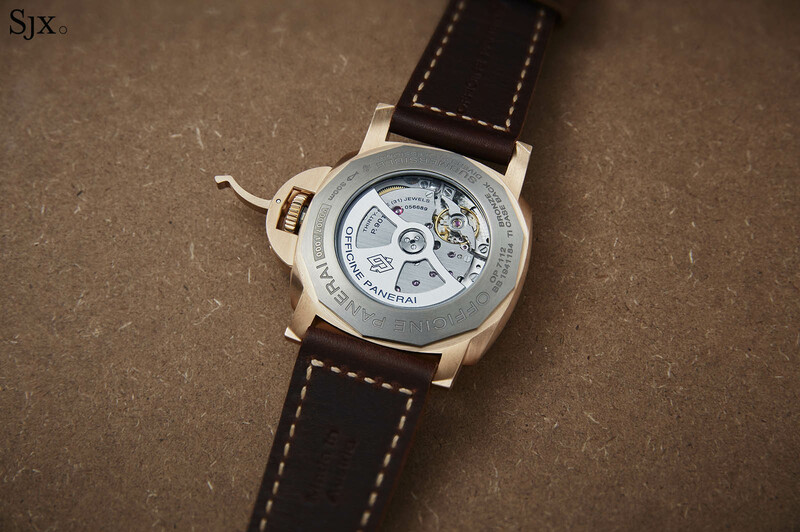 The watch will be available at Panerai boutiques, but also its online store and WeChat store, as well as Mr Porter.